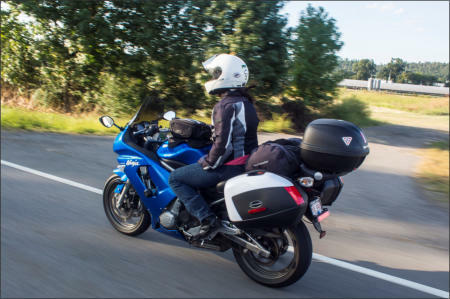 From the twisty Ozark asphalt and rolling Ouachita Mountains to the wide-open Mississippi Delta it is safe to say that Arkansas was made for motorcycling. There are many reasons to explore The Natural State on two—even three—wheels, but their motorcycle-friendly attitude keeps me coming back. That, and the sprawling mountain views, scenic open landscape, and of course all the fresh air that country life here has to offer. Arkansas is bubbling over with state parks—52 in all. And, I've lost count of all the on and off pavement, moto specific routes there are. 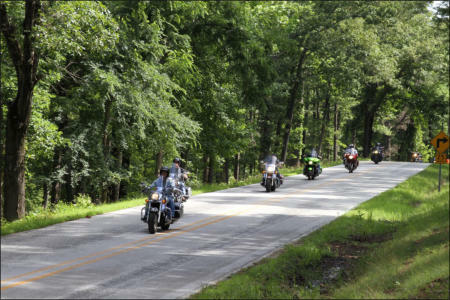 Arkansas’ Department of Parks and Tourism will give you a head start with their free Arkansas Motorcycling Guide produced annually, outlining various places to go, eat, see, and explore. Six years ago, if you had asked me which states were on my motorcycle bucket list, Arkansas would not have been one of them. As luck would have it, I've visited Arkansas many times attending Kawasaki owner's group rallies and events as Brand Ambassador and Editor of ROK™ joining VROC, VDOG, COG, VBA and VRA at their events. With each visit the biker-friendly cities and towns have beckoned me to return and explore the Ozarks, sample the food, and enjoy its hospitality. 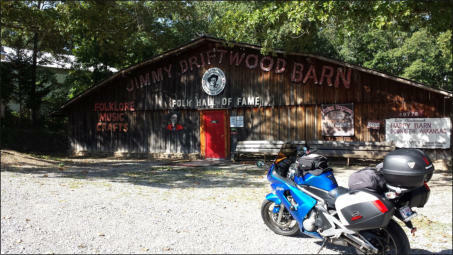 I first came here by accident, after volunteering to attend a motorcycle rally. I wasn't really sure what to expect, yet I've returned year after year. I even relocated to the north central part of the state to be closer to these rallies, and do a little exploring of my own. As a California native, I'm used to milder temperatures and very little humidity. While the weather here isn't what I'm accustomed to, it's a small price to pay for admission to such a beautiful area boasting endless serpentine tarmac with scenic views and little traffic. Deer are everywhere though so watch out, and the squirrels, possum, raccoons, ground hogs, dogs, cats, and armadillos have all crossed my path many times. Did I mention turtles? While there are numerous interesting routes to enjoy, many are quite renowned. 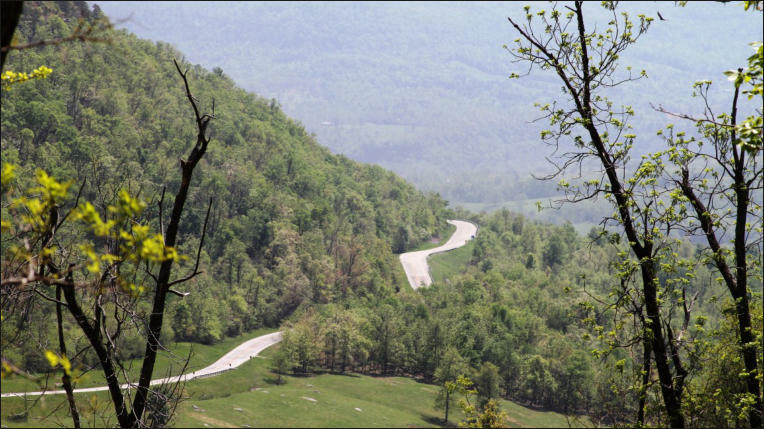 Highway 23 is a favorite, also known as The Pig Trail Scenic Byway. 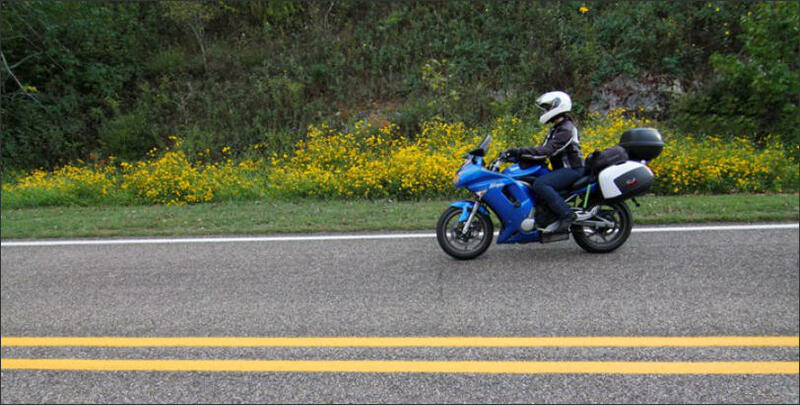 And then there is Arkansas' Scenic Highway 7, the Talimena Scenic Byway and others that attract riders from all over the country. I recommend visiting some of the State Parks while you are here too. What better places to stay than these often historical and always fascinating structures among Arkansas’ magnificent natural surroundings. Many were built by the Civilian Conservation Corps during the 1930s under president Franklin D. Roosevelt’s New Deal, a plan to get Americans back to work after the Great Depression. In fact, history lurks around practically every turn, so you'll get an education while enjoying your ride. The locals wave too, so be sure and wave back. And if you’re lucky, you just might pick up a few colloquial expressions while you are here, like ‘holler,’ ‘heck,' ‘fixin’ to,’ and ‘y’all.’ So what are y’all waiting for? Grab a map, mark some spots and heck, come on down here and ride! Mount Magazine State Park is located on Scenic Highway 309, approximately 10 miles south of Paris (not the Paris you may be thinking of). Mount Magazine is Arkansas' highest point at 2,753-feet. 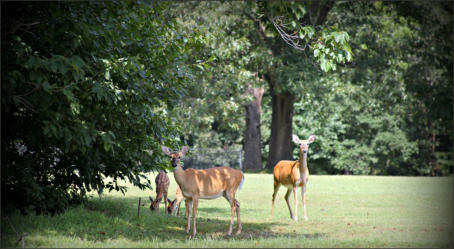 Its rugged terrain is rich in natural resources, including some endangered species. What makes this park stand out from the rest is its majestic views. From the lodge at Mount Magazine, you can take in sweeping views of natural beauty while gazing out at the Petit Jean River valley to the south, and the Arkansas River to the north. The accommodations at Mount Magazine are top-notch, and there is much to offer a weary traveler. There is also an onsite restaurant providing tasty meals that satisfy even the pickiest of eaters with many different selections of pie for desert—yes, pie! There is also a pool—a big plus for me when traveling. Plus, the ride up to the park isn't bad either. 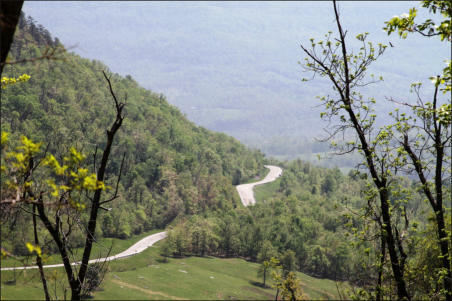 Some have referred to Mount Magazine as the Scenic Byway to the island in the sky. Watch out when making that left turn onto Scenic Hwy. 309 as it has snuck up on me twice and had me riding onto the grassy shoulder. 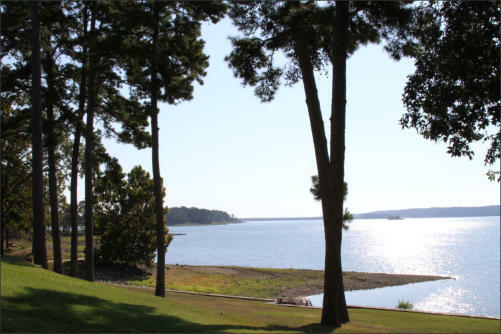 What's not to like about DeGray Lake Resort? It is a year-round destination for motorcyclists, golfers, and nature lovers. The biggest challenge I had was a lack of time to properly enjoy all that this beautiful resort has to offer. 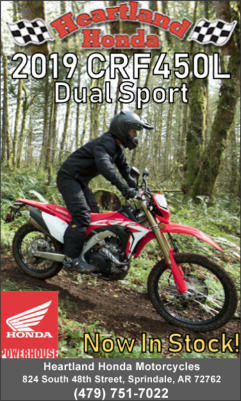 Be sure to factor in plenty of time to do some off-the-bike exploring too. The onsite restaurant here is excellent and the views from the property are quite relaxing. Plus, there is a pool, but there's also the lake—you decide. The roads that lead to DeGray provide plenty of twisty entertainment and challenges for even the most experienced rider. One note here is to limit your night riding as there are wildlife lurking. The Ozark Folk Center is best known for its annual Folk Festivals, and is devoted to the preservation of Southern mountain crafts and folk music. It is America's only facility that works at sharing the Ozark Heritage, drawing international visitors here, as well as those from other parts of the country. I highly recommend carving some time out to explore the craft park. It offers demonstrations by a blacksmith, and goods made by woodcarvers, quilters, broom makers, potters, and stained glass makers, and numerous other craftspeople. Free concerts featuring songs and instruments from America’s past are provided throughout the season. These concerts are not to be missed. This is a seasonal park, so check the website before heading there. This state park served as rally central for the Vulcan Bagger Association's Rally in the Ozarks in 2014. For those not familiar with the area, Mountain View is nestled in the southern part of the Ozarks and is roughly 125 miles from the popular tourist town of Eureka Springs. Mountain View makes a good jumping off point for a variety of rides and it's near the infamous Push Mountain Road—50 miles of serpentine tarmac teasing riders with its hairpin turns, twisty roads and wide-open sweepers. A couple of fun routes from here include a run into Eureka Springs, Peel Ferry, and Jasper along Arkansas' Scenic 7.